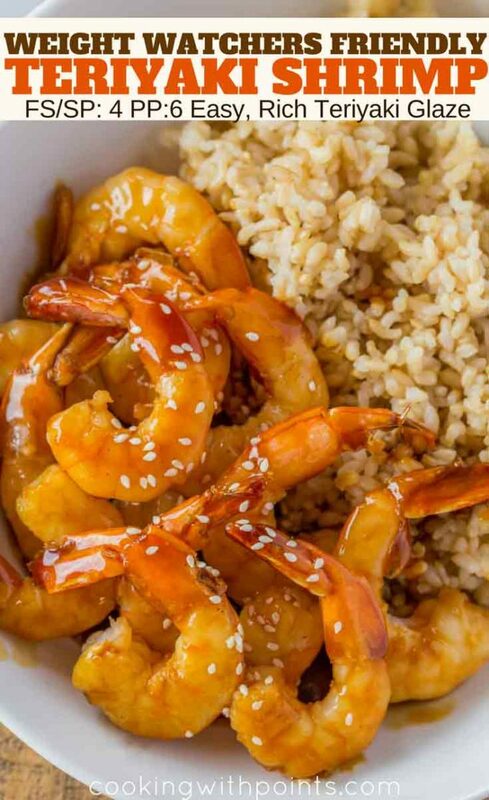 Skinny Teriyaki Shrimp made with a quick and easy homemade teriyaki sauce. 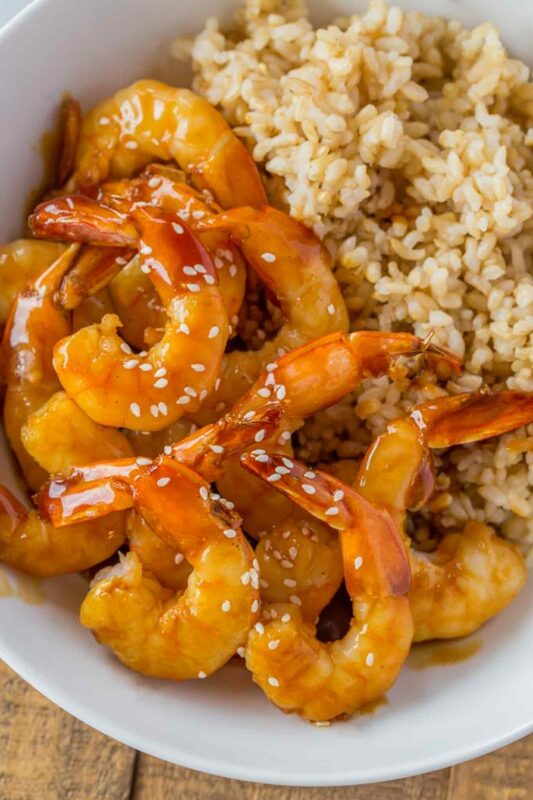 Shrimp is a great quick and easy dinner option that we love and this teriyaki recipe is a perfect takeout copycat recipe just like our Skinny Chinese Orange Shrimp. Teriyaki Sauce is a hard option for those of us counting calories. Unless you find a reduced fat version (made with processed ingredients) most people avoid teriyaki sauce because it’s always so full of sugar. 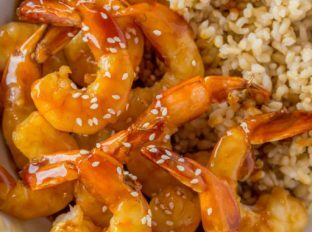 We make this light teriyaki shrimp recipe with a homemade teriyaki sauce so we can control the amount of sugar in the recipe. Cook zucchini noodles and carrot noodles before adding in the shrimp. Leave out the cornstarch and water from the sauce recipe and add the shrimp to the marinade and marinate for 15 minutes before cooking. Looking for more easy shrimp recipes? Add the canola oil to a large skillet on medium high heat. Add the shrimp and cook for 2 minutes on each side before removing the shrimp from the skillet. Add the shrimp back to the skillet and coat the shrimp before serving. I love teriyaki shrimp so much! 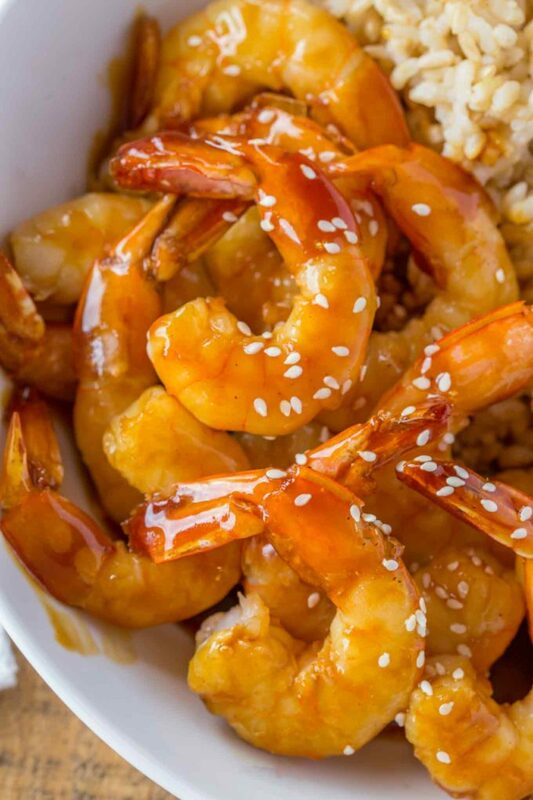 Love a good sweet teriyaki sauce, and with shrimp, it’s a fantastic combo! This sounds so yummy, my husband would especially love it! mmm…this looks incredibly delicious! I have to make it soon!! This looks perfect for dinner tonight! Adding this to our dinner rotation!